Richard B. Pinhard has been practicing law for over thirty years. Rick graduated from the University of Akron School of Law and has had an office in Canton serving Northeast, Ohio his entire career. Rick’s practice is limited to Family Law which includes divorces, dissolutions, child custody, child support, asset/debt division, annulments and pre-nuptial agreements. Rick is a member of the Stark County Bar Association and the Ohio State Bar Association. Rick is sensitive to the needs of the client while diligently pursing and protecting their interests. Call Rick and allow his aggressive and thorough representation work for you. For an appointment call 330-452-7921. Why Hire Richard Pinhard to Handle My Divorce in Canton, Ohio? One reason that a married couple will want to hire an excellent divorce attorney such as Richard Pinhard is to receive an error-free processing of the case. People often make large errors when they try to file or process divorce papers on their own. They think they are saving money by doing it alone, but realistically, they are sometimes creating an even bigger bill. A prospective client can feel secure that Mr. Pinhard will submit the proper paperwork, and he will ensure that all documents are completed and signed in a professional manner. Some divorcing parties need aggressive representation, meaning that the persons need an attorney to fight as hard as possible for specific rights. The rights that the persons may need protected are visitation and custody rights. One spouse may want spousal maintenance payments or child support payments. Tenure and experience are two important aspects in divorce cases. 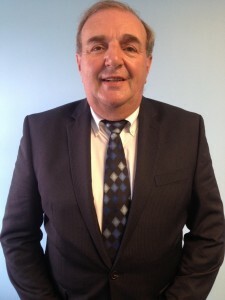 Mr. Pinhard has more than 30 years of experience with divorce cases. Clients can feel confident that Mr. Pinhard will make legal moves that will be in the best interest of his client. He will know the right strategies to make it past an obstacle. Furthermore, Mr. Pinhard will provide compassionate and friendly assistance. He deeply cares about preserving the balance of the family. Mr. Pinhard services people in several areas of the family law umbrella. He can help with divorce, custody, spousal support and the like. An interested person can contact the office today and schedule a consultation. During the consultation, Mr. Pinhard will discuss the prospective client’s needs and think of the best strategy that he can use to help that person. Consultations are normally scheduled within 48 hours of receiving the call.